NASA Press Kit for shuttle mission STS-50 (late June ’92). second flight. Payload specialists include Lawrence J. Freedom experiments planning group, making his first flight. answer sessions with various schools. weightlessness on the human physique. orbit with orbital maneuvering system engines. the Kennedy Space Center, Fla.
within gliding distance of the Shuttle Landing Facility. Banjul, Ben Guerir and Rota. the way energy and mass are transported within them. The U.S.
for microgravity research conducted over extended time periods. bay to meet the unique needs of each mission. For USML-1, the long pressurized module will be used. problems and revising experiment plans. 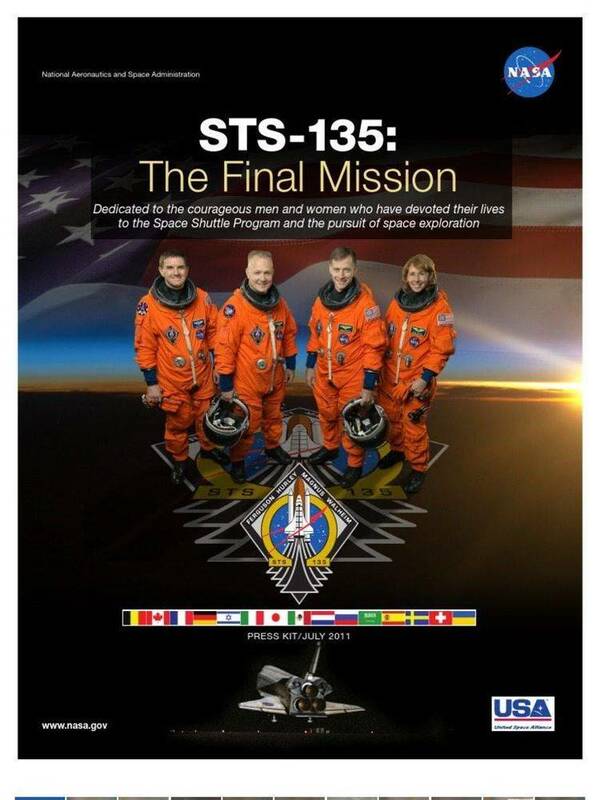 13 days, USML-1 will be the longest Shuttle mission to date. kit eventually may permit Shuttle missions up to 30 days long. previously, such as the Solid Surface Combustion Experiment. just a few years ago were found only in science fiction. The Crystal Growth Furnace is one of the first U.S.
growth and explore the best methods to produce better crystals. goggles and sensors used in some telescopes. will be grown. Zeolite crystals act as sponges or filters. can have a crystalline structure. treat diseases may be designed. produce various types of crystals. multiple large samples at temperatures up to 1800!F (1350!C). contained in quartz ampoules mounted in containment cartridges. Peculiar Equipment (MPE) fluid loop. IFEA should an ampoule/cartridge fail on orbit. Dr. David J. Larson, Jr.
defects that result from gravitationally dependent phenomena. quality material for infrared applications. using the seeded Bridgman-Stockbarger method of crystal growth. gradient spans the melting point of the material (1,095!C). with the high-quality seed crystal, thus "seeding" the melt. thermal gradient over the stationary sample. for comparison with identically processed CGF ground samples. using the directional solidification crystal growth method. achieve uniform dispersal of the dopant during crystal growth. center of the gradient zone. affects mass transport and crystal growth. result in the development of new ground-based catalysts. risks to the experiments and the Spacelab environment. degrees C, 105 degrees C and 95 degrees C.
mixing aids and nozzle designs are to be used on this mission). the crystals to determine which growth conditions were optimum. influences of gravity and the walls of a container. University; Dr. Taylor Wang, Vanderbilt University and Dr.
separates the material into layers of different density. drops and their behavior as they split into double drops. surface-tension effects and for spin dynamics. surface of liquid drops (e.g., surface viscosity, elasticity). oscillations in drop shape and the process of drop fission. create an acoustic rotational torque on the drop. and oscillation, to be determined. of drops and other materials. governs the rate of such a process. of removing carbon dioxide in human space habitats. of the other two subsystems. pumped from the supply reservoir to the recovery reservoir. removed by plants growing in microgravity. free surface geometries on thermocapillary fluid flows. conditions for the onset of oscillations. for filling and emptying the test chamber. complete mathematical models of thermocapillary flow. different materials under different atmospheric conditions. atmosphere containing oxygen mixed with nitrogen. this area is quickly becoming a viable commercial industry. studies of the crystallized proteins. hardware and will include as many as 21 different proteins. be returned to the 22-degree R/IM. also set at 22 degrees C, and the CRIM, set at 4 degrees C.
precipitant increase in the drop, crystal growth will begin. expected to initiate immediate growth of protein crystals. returned to the CMC CCDS for post-flight analyses. navigate drugs to specific body tissues, such as tumors. Controlled Ecological Life Support System (CELSS). for use in agriculture on Earth. define future microgravity science investigations. contamination risks to both Spacelab and experiment samples. outside the GBX with Velcro(TM). black-and-white and three color camera CCD heads are available. that offers high-magnification viewing of experiment samples. temperature display and cleaning supplies. sleeve and will be mounted parallel to the flight direction. configurations in containers of all shapes. growth hardware and including as many as 21 different proteins. Sample materials will be stored in a middeck R/IM for launch. to manipulate protein crystals and mount them in capillaries. volume and wetting angles during the tests. convection during heating with video and the 35mm camera. conditions leading to the transition. explore ways to control smoldering combustion in low gravity. overheated wire in a low gravity environment. will study the warming of electrical wire in microgravity. flows smaller than those caused by buoyancy on Earth. the burning rate, flame shape and color of candle flames. they go out in the absence of buoyancy-induced flows. the candle tip and the displays of thermocouple data. member will activate the ignitor which will light the candle. the flame burns out or until a fixed period of time passes. resolution macro lens to focus on the pulled fibers. produced will be removed and stored for post-flight analysis. sodium dodecyl sulfate -- also will be tested. outer rods are moved will be recorded on video. by a wire heating element in the center of the test cell. surface behavior and the thermocouple readings. aggregation (sphere or chain formation) are of prime interest. the ability to direct the orientation of these fibers. samples will be stored in a Refrigerator/Incubator Module. will enhance the middeck Zeolite Crystal Growth experiment. with the twelve autoclaves will be recorded on video. aisle of the Spacelab module, near the aft end of the module. Experiment and the Glovebox Experiment Module. by the NASA Lewis Research Center. countermeasures to combat adverse effects of space flight. and a Microbial Air Sampler. lower body toward the head and chest in the absence of gravity. in the body for 24 hours after the last treatment. increase the pressure according to a preset protocol. -- upon return to Earth's gravity. future 13- through 16-day missions. baroreceptors in the carotid artery located in the neck. to regulate blood pressure and heart rate. and posed no health risk to the crew. the fungal and bacterial growth from this 13-day mission. yet cancels out the inherent vibrations. less than 1 pound of disturbance force on the Shuttle middeck. sponsored in part by the Office of Commercial Programs. can be applied to commercial membrane processing techniques. to an initial position, the evaporation process is initiated. small as one part per billion of Earth's gravity. instrument calibration to be performed on-orbit. state memory for analysis after the flight. are included in planning the mission. will be limited to the UHF ham band at 450 MHz. module and an equipment cabinet. information desk during the mission. 713/483-2500 and then type 62511.
augmenting the stowage space with extra middeck lockers. the natural rubber previously used. engine 2011 is in the No. 3 position. to its already stacked solid rocket boosters and external tank. Test with the STS-50 flight crew during the week of June 8.
fall with the LAGEOS II payload. of West Florida in 1970.
than 219 hours in space. Kenneth D. Bowersox, 36, Lt. Cmdr, USN, will serve as pilot. engineering from Columbia University in 1979.
test pilot at the Naval Weapon Center when selected by NASA. Bowersox has logged more than 2,000 hours flying time. will be making her third space flight. 1990. She has logged 430 hours in space. Ellen Baker, 39, will serve as mission specialist 2 (MS2). than 119 hours in space. more than 117 hours in space. biochemistry from the University of Alabama at Birmingham. Eugene H. Trinh, 41, will serve as payload specialist 2 (PS2). and received a doctorate in applied physics from Yale. NASA HEADQUARTERS, Washington, D. C.